When you log in to SimpliRoute, the first thing you see is the Initial information panel. Choose the dates for the routes you will create. 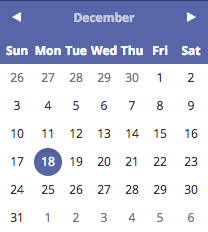 You can do this by clicking on a specific date in the calendar. The default is the present day. Choose your vehicles' general work schedule. The start time marks the start of their work schedule and "leave" the origin address (e.g. your depot). The end time is the latest time your vehicles should be back to the depot. When using "Open Routes", this time marks the end of their work schedule, which does not include the trip back to your depot. Choose the vehicles that you need for that plan. The date marked in the panel is the selected date for your routes. The default value is the present date. If you want to create routes for tomorrow's date, click on the calendar icon and select the corresponding date. 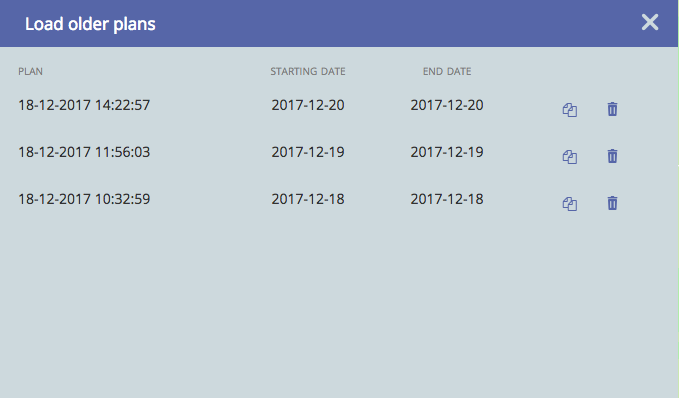 You can also load previously-planned dates by clicking on load older plans, under the date field. This will give you a list of previously used route plans, with start and end dates. You can duplicate route plans and delete past routes. This defines the start and end times of your route schedule. The start time is the earliest your vehicles will leave the warehouse and the end time is the latest they can return to the warehouse. ADVANCED: If using open route optimization, the end time is the latest a visit can be made. Return times to the warehouse are not considered. The start-to-end times is the global work schedule. 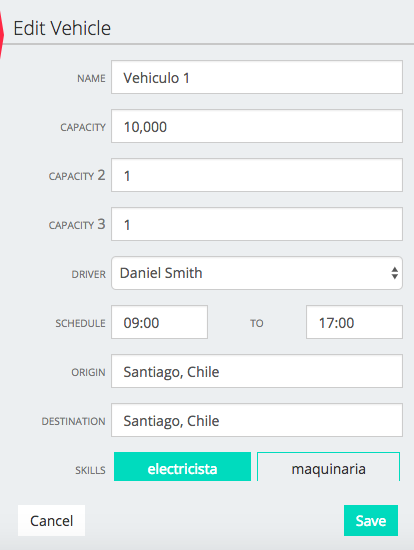 This range encompasses the operation time for your fleet as a whole, except for vehicles that have been configured with a specific work schedule. When creating a vehicle, you may designate a specific work schedule; otherwise, the vehicle will be subject to the global work schedule. 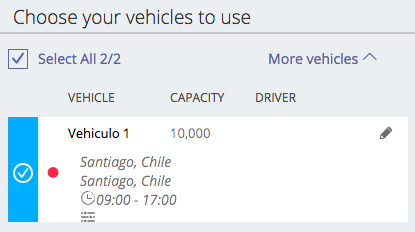 You can configure vehicles in the Vehicle Administration section. For a route plan you can opt to use your entire fleet or a particular subset of particular vehicles. Click on any particular vehicle to see that vehicle's details. You'll see an expanded view with the vehicle's start and end points, its work schedule and specific skills. You'll also see the start and end points on the map. To edit a vehicle, click on the pencil-shaped Edit icon on the top right corner of the vehicle panel. IMPORTANT: Any changes made in this section will apply only to this work session. If you reload the page, any changes will be lost and values will return to the prior values. This option allows for the editing of specific details applicable only to the current route plan, which gives a greater flexibility in planning your routes. To make permanent changes to vehicle properties, go to the Vehicle Configuration section by click on the Vehicle Administration button. One of your vehicles doesn't have an address of origin: if one of your selected vehicle don´t have any address of origin, you will not be able to keep going. Go to the Settings > Vehicles menu to fix it. One of your vehicles already has already routes for this particular schedule: a vehicle cannot have two simultaneous routes. It means that it cannot have two routes that have an hour in common. If you already created a route for a vehicle for example for tomorrow, you will be able to create a second route for this same vehicle only during the afternoon. If you receive this message, change the global work time or the particular work time of the vehicle according to this case.